You are here: Home / Etsy Love / Time for the Beach! Are you a summer person? I am! Being raised in Florida, you can’t help but love the beach and all its wonders. Even if you don’t live close to a beach, you can find great beach treasures of your own on Etsy! What a fantastic piece! 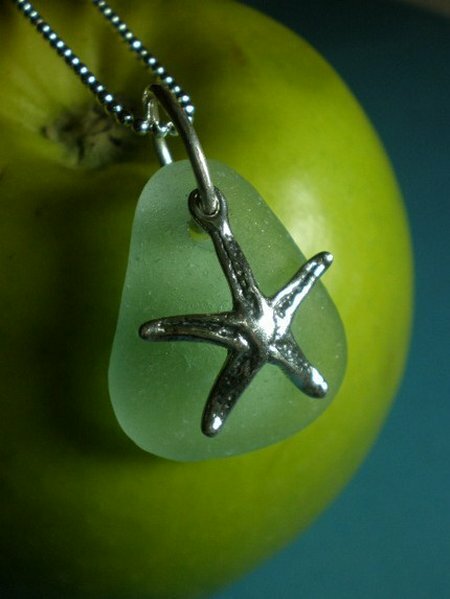 The sea glass was found on a Malibu, California beach! A beautiful triangle piece is the backdrop for a cute little sterling silver starfish…..perfection! What a wonderful gift this would make! 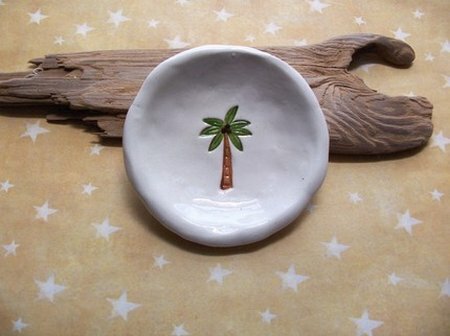 It’s a palm tree mini dish, and it can be found at Wise Impressions. This little dish says it plain and simple…tropical! It would fit just right with any beach decor. 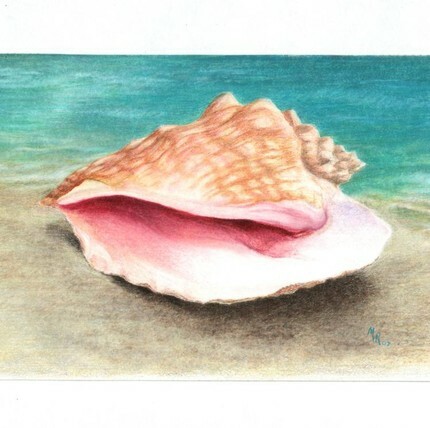 I found this amazing original colored pencil drawing at Sweet Tea Designs. It’s ready to be added to your art collection. Have fun searching for that perfect beach treasure, and enjoy the benefit of being able to shop in your pajamas! Isn’t Etsy great? My girls love the beach! They love playing in the sand. I’m so ready for the beach! Only a four hour drive but I hardly ever get to go. Previous Post A Kimba Made Giveaway!